It's good to have third party verification of skill level. We recommend that homeschoolers use the SAT subject tests to verify and prove their skill levels in different subjects. SAT subject tests exists in most academic subjects - Biology, Physics, U.S. History, etc. They are internationally recognized standards. You can sign up for them here. To prepare for science and math exams, we recommend that you use the Barron's SAT subject test prep books as your primary "textbook". Don't waste a cent on the garbage used in school (e.g. textbooks from Pearson's, which are half propaganda and half nonsense). For example, for Biology, consider this book. To prepare for history exams, we recommend using the relevant Cambridge history texts (from the famous British college). For example, for U.S. history, consider this book. For history, you can also use the appropriate Barron's SAT subject test book for review. SAT Subject Tests are given several times a year. You can take up to 3 subject tests at any of the available testing dates. Learn about SAT Subject Tests, including how to sign up, here. A score about 750 (out of 800) is Ivy Competitive. A score above 700 indicates proficiency. If your score is below 700, prepare more, and then retake the test. Once you have gotten at least a 700 on a given SAT Subject test, you should prove advanced knowledge with an AP exam. AP exams are more advanced standardized tests that include essays and other free response problems. They are college level tests, and most colleges will give you either course credit or higher placement based on your AP scores. You can use Barron's AP practice books to learn and practice the basic knowledge. Then use the same video sources you used for the SAT subject tests, just on more advanced topics. For example, watch the Khan Academy Calculus videos instead of the Pre-Calculus videos. In Biology, read Darwin's On the Origin of Species. In U.S. History, read the Federalist and Anti-Federalist papers. In economics, consider Adam Smith's Wealth of Nations and Marx's Capital. For a good starting point, you can find a suggested list of primary sources and literature across several subjects here. AP exams are hard, but it's much easier to study for them as a homeschooler than in a public or private school. Public and private school AP courses are full of tons of needlessly hard busywork. Despite the months kids spend in AP courses, they are often totally unprepared for the AP exam. This happens because AP courses waste time on silly "projects", socialistic "group projects", and other total nonsense. If you are not held back by that, you can prepare for many more AP exams, and get higher scores, than those stuck in time-wasting public and private schools. AP exams are given once a year, in May. Learn how to sign up here. You'll need to take the SAT and PSAT. The PSAT is the only way to become a National Merit Scholarship semifinalist, so it is actually a lot more important than people realize. You can take your official PSAT only once, but the SAT several times. A note on retaking exams: Only your highest score matters. Don't worry about whether colleges "see your other scores." It makes no difference. They only consider the highest score. There are also exams that are so difficult that they carry more weight than even a college degree. These tests can be used as a realistic alternative to a college degree, or simply as an additional credential. The first are the Actuarial Exams. This series of extremely advanced math and economics exams proves a very high level of math ability. We recommend studying for and taking the first exam. Learn more here. If you manage to get a passing score on the first exam, consider taking the next one. Since so few people can pass an actuarial exam, and any drunkard can get a college degree, actuarial exams command a lot of respect. There are no age requirements or other prerequisites for the Actuarial exams. They are just really hard. The Foreign Service Officers Test is a test of history, management, psychology, economics, and general knowledge. It is given to those who want to be American diplomats. It's a very challenging test, which few people can pass. There are age requirements and other requirements. Learn more here. Just as students take the SAT before college, many take the GRE, GMAT, or LSAT after college. You don't need to wait. A high GRE, GMAT, or LSAT score can open doors for you right now, and prove your ability to others. 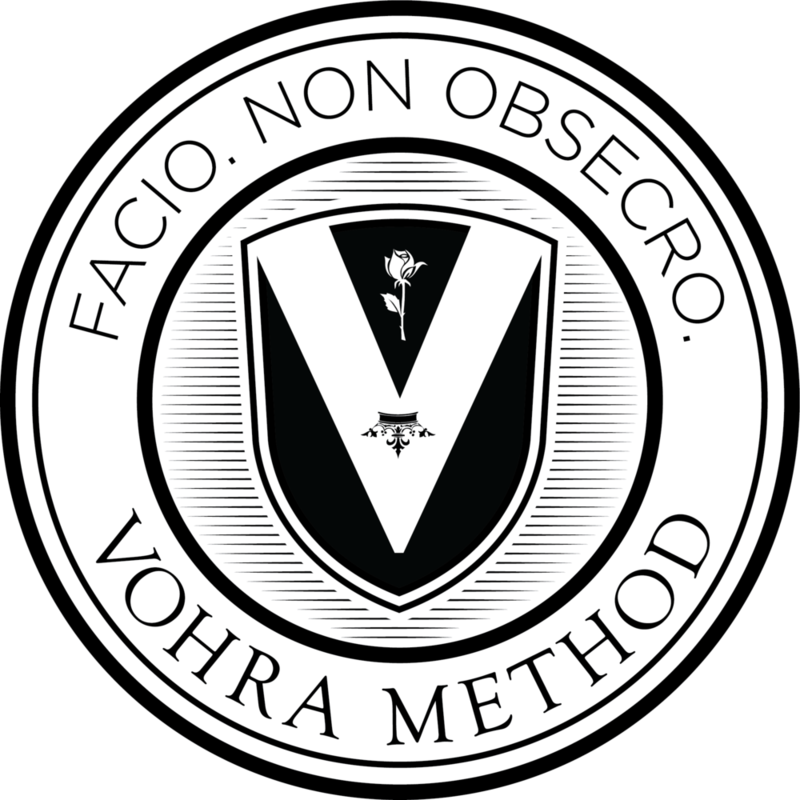 For all of these tests, Vohra Method has two useful tools. For very concept oriented subjects, like math, writing, and reading, we recommend Vohra Method group classes. These affordable alternatives to tutoring can help you build concepts and problem solving for more challenging tests, like the AP calculus exam or the SAT Physics subject test. Learn more here. For memorization-heavy subjects, we recommend our Synapse line of apps. Vocabulary Synapse, Biology Synapse, and others can help you memorize information for topics that are memorization heavy. Memorization is necessary but annoying. Synapse makes it less annoying. Learn more here. The biggest concern of most parents is how to achieve effective socialization when homeschooling. We've compiled a list of just a few of the many opportunities you can find within your own community. There are always scouts organizations nearby. These organizations focus on community service, acquiring knowledge in a variety of fields, exploring nature, and more. Adventure crews do all this in a co-ed environment. Sports provide a great opportunity to teach both cooperation and competition skills. Kids learn to win with grace and lose with dignity, and to work together with their peers to accomplish a goal. Sports also build physical strength, and provide kids with an active friend group. YMCA clubs also foster communities and stimulate both physical and creative growth alongside groups of peers. Learn more here. Libraries often offer book clubs and reading circles for younger students, and they sometimes offer chess clubs and other activities as well. Check out your local library to see what they have on their calendar! These groups are on obvious resource and can help students meet other kids their age, and with similar life experiences. These groups are often parent run, so you can suggest and organize events of your choosing. These groups help you keep your child on track academically. They are great resources for tracking the pace of your child through their homeschooling curriculum. These groups also organize field trips and other exciting outings with other homeschoolers in the state. Churches across the country can provide supportive, nourishing networks for you and your child. Many religious groups also organize social activities within their communities, and create youth groups that focus on mindful living and bible study. If you are not religious, there are also many atheist groups across the country that provide similar supporting, networking, and structure. There are countless clubs and classes you can join in any area. Joining groups of people with similar interests can help students pursue their passions and develop lasting friendships. Below is just a short list of activities that many students find rewarding. 4-H is an enormous organization that helps students across the country learn by doing and engage with their communities. 4-H hosts larger events, smaller workshops, and curriculum support. Learn more here. Many of the organizations mentioned above offer day camps and sleep away camps. There are also countless other opportunities for such camps that can really change a student's life. Many of our students attend camps year after year, transforming from a young, new camper to a mature camp counselor over the years. These camps provide opportunities to work on leadership skills and cooperative problem solving, and can result in long-term friendships. The FFA deals with more than just farming. They dive into all the natural sciences, and even engineering and entrepreneurship! While they often work with local schools, they are open to outside students joining. To find your local chapter, click here. The FCCLA focuses on personal growth, leadership opportunities, and career preparation, and places your child in a group of motivated, insightful young minds. The FCCLA also works with local schools. You can find a local chapter or start your own! Learn more here. Forensics societies are a great place to teach your child social skills. These teams will foster a love of public speaking and debate, and encourage intense discourse on critical topics. Here are a few organizations that cover the nation. You can find your local chapter and get involved! Model UN organizations encourage global awareness, engagement, and discourse. They provide real world problems and encourage large groups of students to collaborate to find mutually agreeable solutions. Students will work closely with others who are chosen to "represent" the same country, and will also interact with other country "delegates". Learn more here or here.